Vincent "Pop" Harris goes to his 2nd final at Maryland International Raceway in Motorcycle Eliminator on Saturday, July 13, 2013. We Congratulate Pop on his Runner-up Win. in the race and the curview quickly approaching; the 4 remaining racers decide to split the purse and draw a card for the iron man. So with the luck of the draw Ray went home with the iron man. and for being the "Last Brother Standing" in Top Eliminator. during the IHRA Summit Pro Am Division 1 Race that was held at Richmond Dragway. 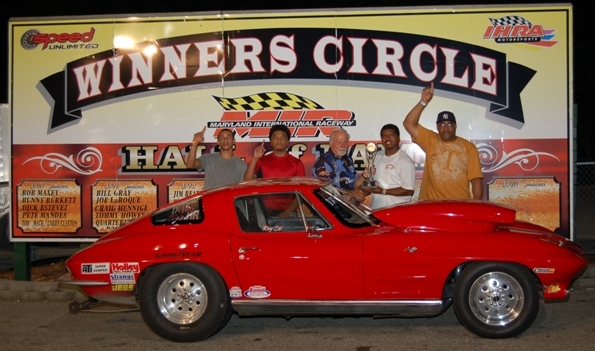 the IHRA Summit Pro Am Division 1 Race at at Maryland International Raceway. We Congratulate Wesley on his Runner-up finish in Top Dragster.